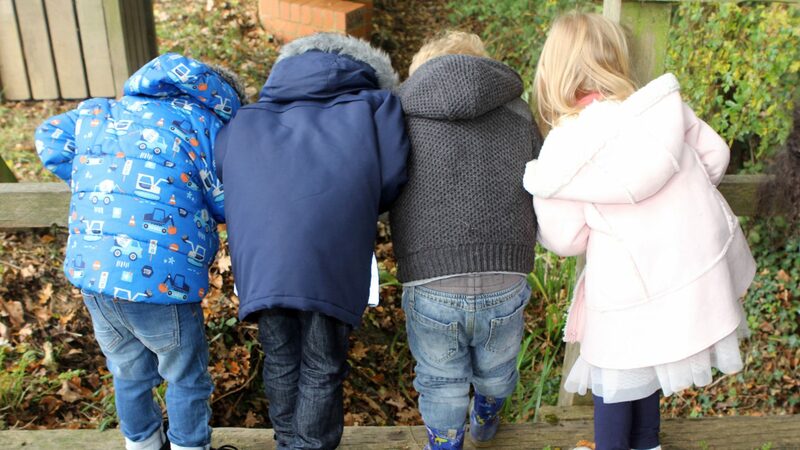 At the Norto5 KIDZ Academy in Cuckfield, we focus on the pre-school children but this is not always practical for parents so we also cater for the childcare needs of younger children- so we have a separate nursery for the younger children requiring day care. It is located on the beautiful grounds of the Cuckfield Cricket Club where the children can enjoy the outdoors. At Norto5 KIDZ Academy we believe that the early years of a child’s life are special. We pride ourselves on creating a warm, happy, fun environment filled with laughter and love where children can feel safe and secure while they flourish and grow. We believe the learning that takes place at this time of a child’s life is the foundation of his or her education and we promote learning through play with a mix of adult and child lead activities to widen each child’s experiences. Our dedicated and experienced team are committed to each child’s learning journey, promoting independence and social skills. All staff acknowledge the uniqueness of each individual child in their care, building secure and solid friendships. 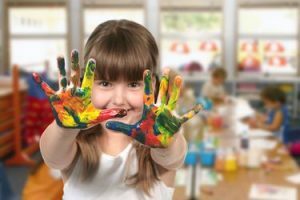 At Norto5 KIDZ Academy we offer flexible childcare which allows you to structure your childcare needs to suit your own needs. We do not restrict you to predefined sessions so you are not limited to set times as we are aware that parents and carers working hours can vary. This gives you the freedom to pick and choose your times and to move them around within each week as you see fit. This is one reason which makes Norto5 KIDZ Academy unique. We also provide a separate baby unit, pre School room and sleep area. The baby unit is a small but cosy area full of exciting resources, comforting toys and musical equipment. We currently restrict our baby unit to 6 babies at any one time which allows our nursery staff to develop a close bond with the babies allowing them to feel relaxed and comforted at all times. This allows us to be able to meet each child’s individual needs as well as provide one to one attention with your child’s key worker. Our cosy sleep room is designed to be calm and relaxing allowing the children to enjoy their rest time. It has black out blinds over the windows so the room is dark, allowing the hanging fairy lights to give a warm glow to the room. This in addition to the calming music in the back ground helps create a calming environment. We are very fortunate to benefit from amazing outdoor spaces. We have an area which we use daily where set up age appropriate equipment and experiences. Our outdoor area is being redeveloped over the summer with new all-weather flooring and grass. We are very excited. As a result of the free flow access between the indoor and the outdoor area, children can choose where they would like to explore. The children can enjoy exploring the world around them by getting muddy in our mud kitchen, digging patch, sand, water play and anything else we can get our hands on. We also explore the fields surrounding us with supervised visits to the horses and sheep which back onto our field. This allows the children to explore the environment around them and they are not confined to single play area. 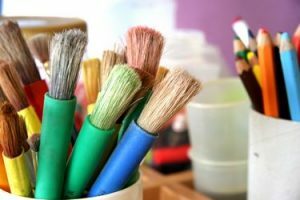 We offer a very large and dedicated preschool area where the older age group get to enjoy age appropriate educational and development activities. 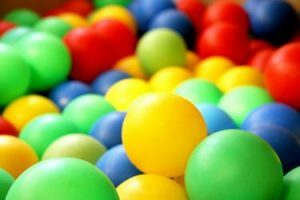 We regularly change our role play area so children can experience different themes such as a school, hospital, train etc. We have a loose parts and natural area over the Summer for the children to be able to explore and learn from the different natural resources. All the equipment is at the child’s level so they can access things independently. Children flourish as a result of healthy food and water. We provide them with regular healthy snacks and meals throughout the day as well as water available whenever they need it. We even have a snack bar for the children to snack on provide plenty of healthy snacks throughout the day. The children take ownership of what is offered for their snacks by choosing from flash cards each morning and they can then help prepare their own snacks together. We encourage children to experience a variety of different fruit and vegetables. The children also benefit from enjoying a delicious, nutritious and varied hot meal at lunch time every day. The meals are freshly prepared each day with no added salt or sugar and packed with lots of healthy vegetables. We make our own teas which the children love getting stuck in and helping. 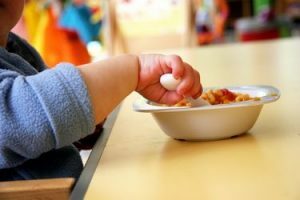 At Norto5 KIDZ Academy our meal times are very sociable times, the babies are included and have little high chairs which are the same level as the tables so they can be included.